This is another Purl Dreams knit in super-soft Cascade Baby Alpaca chunky, in what I hope is a nice gender-neutral red. Is it dumb to knit a baby blanket in hand-wash only alpaca? Probably. And yet I soldier on, because it’s so soft that it belongs on a baby’s skin. I am contemplating skipping the ruffle on this blanket and instead knitting some sort of hem. This is partly because that ruffle uses A LOT of yarn, and partly because I like the look of a nice neat edge. I *think* I can engineer this by Frankenstein-ing together instructions from other patterns I have lying around…but we’ll see. 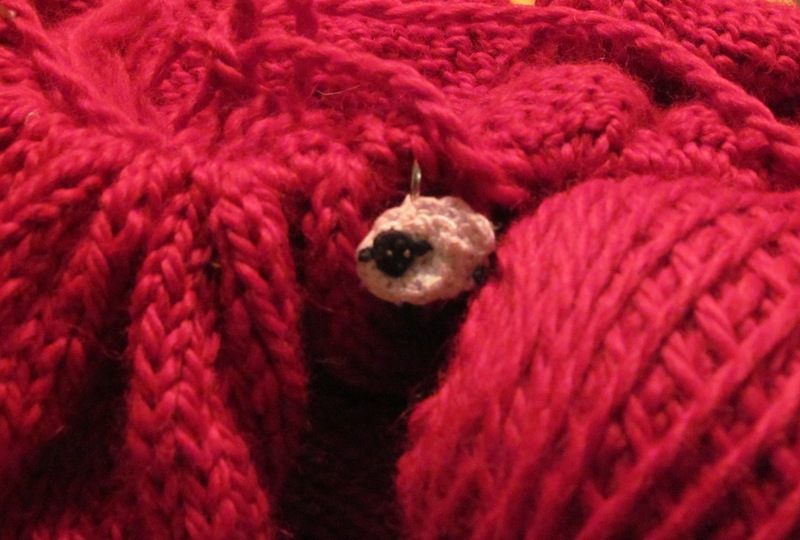 The one downside of this yarn is that it is slowly turning my white sheep stitch markers pink. It will need a good soaking once I’m done knitting!